Reveals: "Why Dammy Krane Was kicked Out Of 2Face's Record Label"
This past week has been probably the first time pop singer, Dammy Krane, trended on social media networks especially Twitter and Google. Sadly, it was for the very wrong reason as it was reported that he was arrested for credit card fraud and grand theft in far away US. 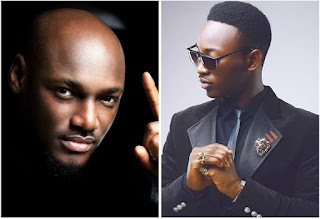 A source very close to the troubled singer, in a recent interview said part of his woes was his expulsion from Tuface’s Hypertek Records. It was gathered that the singer was kicked out of the record label which brought him to limelight about two years ago and ever since then, he had been searching for sponsors to help with his career. The singer, the source added, travelled to the US to find ways he could enhance his career which unfortunately landed him in jail. His exit from the record label was silent because it was felt that it was not good for both the image of the singer and the record label.